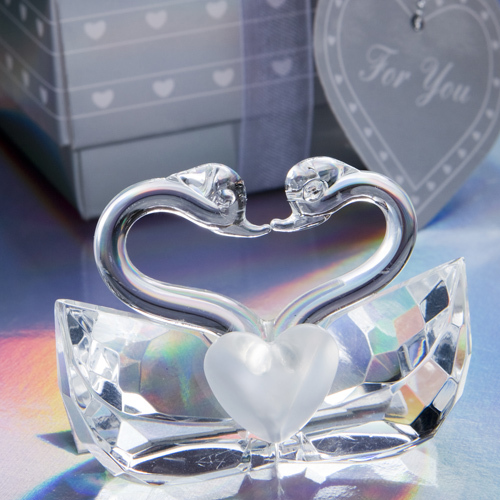 Each crystal favor measures 2 1/8" x 1 1/2" and features two swans, with multifaceted bodies, locked in an embrace with their graceful long necks forming a beautiful heart shape, with a frosted glass heart embellishment at their center. These favors make for a stunning presentation inside a Choice Crystal signature silver box decorated with white hearts, wrapped with a white organza and satin bow with a crystal heart accent on top and an attached heart shaped, matching design "For You" tag. 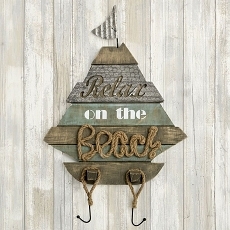 Q: Do you personalize or engrave on this? do you also make tags for this? A: We do not offer engraving on this item, however you can choose to add personalized tags on this page, right below "Personalize"